Disney's patent filing for a huggable robot is pretty great. 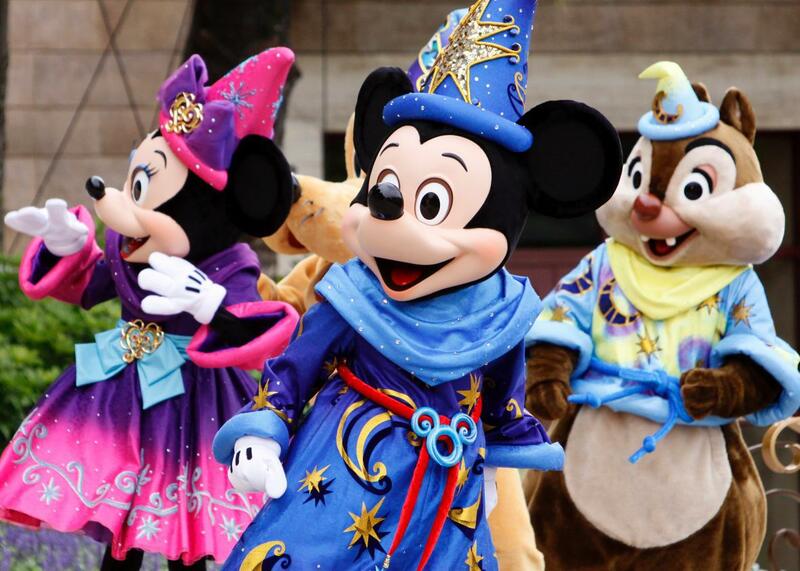 Will the people in Disney character costumes lose their jobs to robots, too? The internet’s latest fascination is with a patent filing by Disney Enterprises, on a “soft body robot for physical interaction with humans.” The application details a humanoid robot with soft limbs for holding delicate things like china or children, opening up wild speculation about how the robots will be used (Live-action Big Hero 6! Real-life Westworld! Robot Mickey Mouse!). As a patent lawyer, I’ve read through hundreds of patents, and this Disney one has several interesting features—features that exemplify important questions about what makes for a good patent. Most popular coverage of patents tends to be about bad ones. I myself have poked fun at recent patents on taking photographs against white backgrounds, Clippy from Microsoft Office, and 18th-century matchmaking games. The Electronic Frontier Foundation runs a whole blog series on stupid patents. These patents are bad largely because they use incredibly confusing language to conceal truly uninteresting inventions. Disney’s application, on the other hand, describes its invention with remarkable clarity. One key component, for example, is the robot’s arm, composed essentially of a 3D-printed flexible dome-shaped balloon that serves the dual purposes of cushioning the robot’s grip and sensing the grip force. Most patents would provide no more description than this, but Disney’s application goes on to describe the model of 3D printer used, the materials fed to the printer, and even a clever trick for filling the inside of the balloon cavity with a washable gel during manufacturing. Disney is bucking a trend here, as patent lawyers usually work very hard to put as few details as possible into their patents. Scholars have decried patent applicants’ “incentive to obfuscate information they provide whenever possible.” For many years, inventors seeking patents were at least required to reveal the “best mode” they knew of for making or operating their inventions, in 2011 Congress effectively stripped even that minimum disclosure requirement, at the behest of patent lobbyists. Those in the patent business have reasons for wanting to reveal as few details as possible—it keeps information out of the hands of competitors, for example. But what’s good for the patent industry is bad for the public. The whole point of granting the powerful monopoly rights of a patent is that, in exchange, the public gets the benefit of knowledge on how to make and use new inventions. As the Constitution provides, patents are granted only “to promote the progress of science and useful arts.” Concealing how an invention works, as too many patents do, deprives everyone of knowledge that was promised. And that’s what makes this robot patent application so refreshing: As I read it, I actually learned things. There’s a passage on the make and model of servo motors to power the robot limbs. There’s a discussion of an experiment that revealed the best types of bearings for the joints. I can find the exact thickness of the flexible sensor membranes (1.5 millimeters), and the exact tolerance for the bearings (0.2 millimeters, no more and no less). It’s so specific that as I read the patent, I actually thought: If I really wanted to, I could actually build this robot. Even better, I could improve it or customize it. This is the rare patent application that serves the constitutional purpose of promoting the progress of science and useful arts. Of course, a good description is only one piece of a good patent. The patent application, now published, will enter the examination phase. Disney’s attorneys will explain what parts of the invention are the key improvements over extant knowledge, and those improvements will define the scope of the exclusivity rights the patent will enjoy. An aggressive approach in that phase—arguing that the patent should cover all 3D-printed robots, for example—could render this filing no better than the mass of ridiculous patents on matchmaking strategies or animated office supplies. But at least for now, Disney’s patent application serves one important purpose that patents are meant to serve. It teaches useful information, in this case about how to build safe, squishy robots. At the very least, we may now hope that when our new robot overlords seek to crush humanity, they may do so with the gentlest of arms.